“Marinera” beauty salon has opened the doors since February 2, 2012. Due to its elegant interior, high-quality services and affordable prices this salon has managed to win the sympathy of many women who appreciate harmony.rnBeauty salon has various services of cosmetology, manicure, hairdressing, facial, body massage and care.rnCosmetology services are carried out through “GIGI” Israeli care means, peeling- through the products of “Ziala” company, whereas hand and feet care through antiallergic means of “GEHWOL”, OPI, Pedi Sation companies.rnHair stylists offer scalp care with Polish skin. 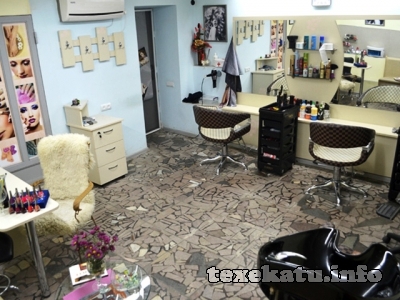 “Marinera” beauty salon uses the products of “Schwarzkopf”, “Silky” and “Yellow” companies during hair coloring.rnSmall fashonistas are also among the loyal customers of this beauty salon. They like to maintain and emphasize their beauty from childhood.